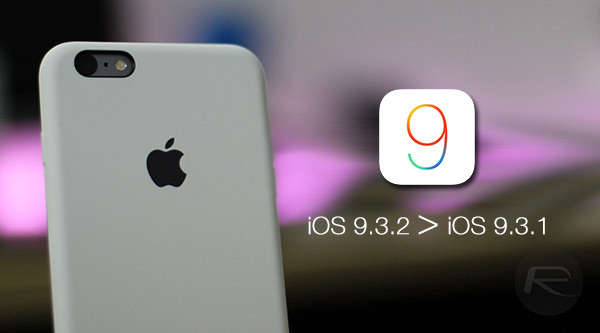 iPhone, iPad and iPod touch owners all over the world will already be more than aware that Apple has pushed out the latest iOS 9.3.2 update to compatible devices globally. With this year’s Worldwide Developer Conference (WWDC 2016) just a matter of weeks away, this new update represents the latest progression in the development of the iOS platform ahead of the first reveal of iOS 10 at the WWDC week. Of course, just because it’s the latest version of Apple’s mobile platform, it doesn’t necessarily mean that it’s going to play nice with all devices, especially those older iPhones and iPads. If you have upgraded to iOS 9.3.2, either on purpose or accidentally, but have immediately noticed some detrimental performance or battery on your device after that upgrade, then you may want to take the opportunity to roll the firmware on your device back to iOS 9.3.1. Apple is always looking to continuously improve the performance of iOS with updates, with part of that focus being applied to trying to retain efficiency and performance on older hardware, but unfortunately that doesn’t always happen. If you’re affected with laggy performance, or battery drain issues, or any other issue, it could be time to roll back. The first thing to remember here before attempting any downgrade process is that it’s currently only possible to roll back from iOS 9.3.2 to iOS 9.3.1. Apple has become increasingly efficient when it comes to no longer signing historical versions of iOS, meaning that iOS 9.3.1 is the only previous version that is being digitally authenticated by Apple’s servers. It’s probably also worthwhile taking into consideration that the signing window for iOS 9.3.1 won’t be endless either. Meaning that if you do wish to get away from the detrimental performance of iOS 9.3.2 on your device, then you best opt to do it sooner rather than later. Additionally, if your need to downgrade is fueled by a desire to jailbreak your iPhone, iPad or iPod touch, then you will probably need to rethink your tactics. There’s currently no public jailbreak solution available for iOS 9.2 all the way through to iOS 9.3.2, meaning that downgrading to iOS 9.3.1 will still leave you in a non-liberated state with the device. 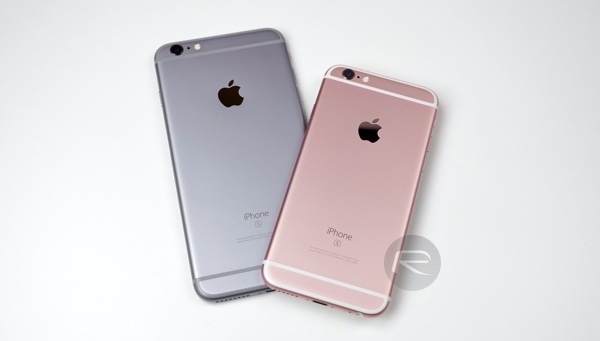 With that in mind, the only real reason to go through the downgrade process is if the device in question – whether it be an iPhone, iPad, or iPod touch – has suffered from noticeable performance or battery loss after the upgrade. If you’ve taken all of that onboard, and still want to go through the downgrade process, then you can follow our previous downgrade guide here: How to downgrade iOS 9.3 on iPhone or iPad [Tutorial]. The linked guide details the downgrade of iOS 9.3 to iOS 9.2.1, but the steps are the same for rolling back to iOS 9.3.1 from iOS 9.3.2. You will need to of course download the iOS 9.3.1 IPSW file for your relevant devices from here: Download iOS 9.3.1 For iPhone And iPad [Direct IPSW Links], and then proceed with the tutorial linked above. Do you evert have anything interesting or even remotely interesting to say? Or are you really that stupid? Cowardly troll trolls like a coward. how does your self-loathing relate to my post? Idiot troll continues to troll, somehow thinks it is entertaining. Dumb dumb give me gum gum!